Her name was Abby …. and she was loved. She was a dog that no one wanted, until she found her way home to her forever family. 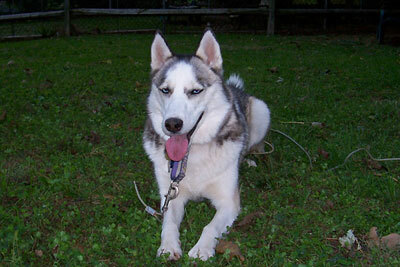 A true Siberian, Abby was a challenge: head strong, talented escape artist, incredibly intelligent and a complete love. The world was hers- she attended doggy daycare and a special fence was installed in her backyard – there was nothing this girl lacked. Despite incredible measures to keep this girl safe and sound, all precautions failed. Our sweet Darling is now North of the Rainbow Bridge. We miss Abby greatly and grieve that this sweet happy dog was taken in such a seemingly senseless manner. Wear your silver harness proudly sweet girl.